Australian travellers are now able to cruise this remarkable region in style due to an innovative paddle wheel design inspired from ancient times. CroisiEurope, the Strasbourg-based French river cruise line who are represented in Australia by Cruise Abroad has just launched a paddle wheel design vessel encompassing all the contemporary features and style of a European river boat. 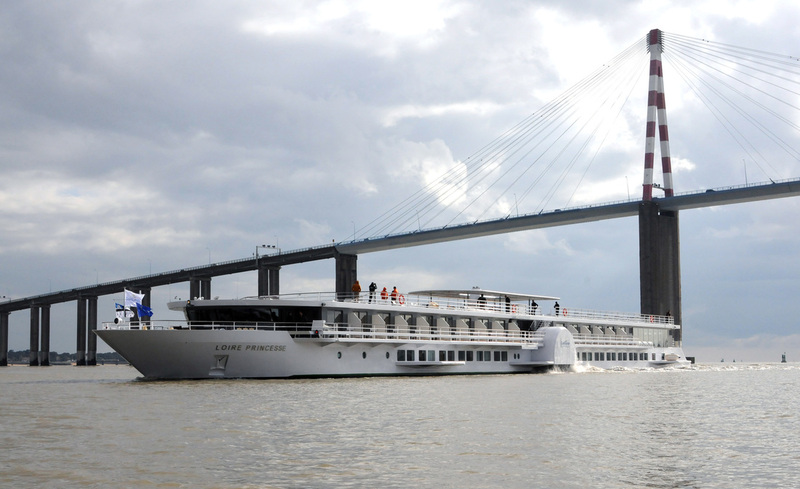 This new vessel has revolutionized cruising on the Loire River with new technology developed specifically for this first class ship, it now opens up European rivers that were once impossible for cruise vessels other than smaller barges due to extremely shallow water levels. The secret is a revolutionary new paddle wheel propulsion system designed specifically for European river ships, put simply, the new system does away with propellers. Dispensing with propellers allows CroisiEurope to travel on shallower rivers like the Loire, cruising through delightful regions where the propeller-driven vessels cannot follow. 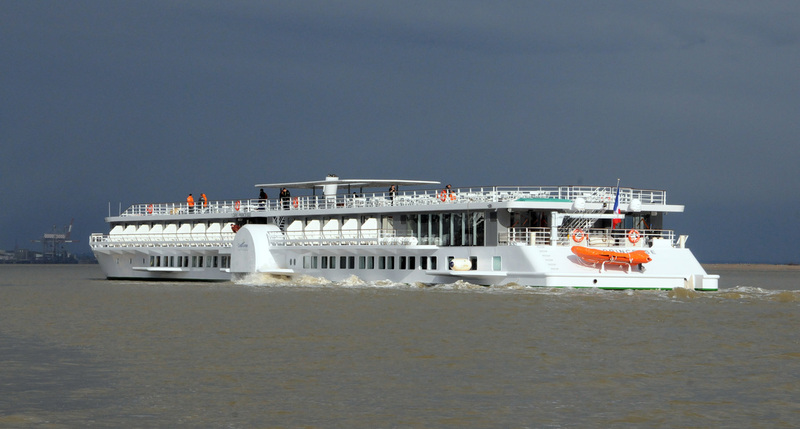 It is worth noting that the recent debut of the MS Loire Princesse was the first time that a cruise vessel with cabins has ever cruised along the Loire. 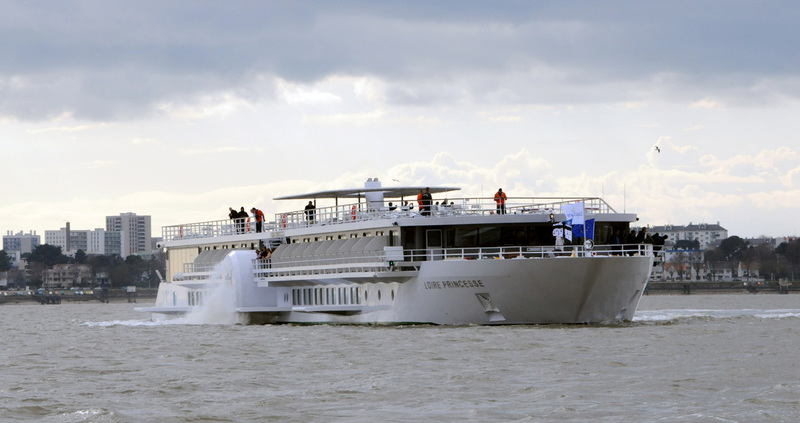 This new type of craft is 295 feet long and 49 feet wide, with three decks. It has 48 spacious outside cabins (49 ft²) and can accommodate up to 96 passengers. On the upper deck, the cabins have lovely balconies 10ft x 4ft and rooms are equipped with the latest technology, including Wi-Fi on board, individually controlled combined air-conditioning/heating, plasma screen TV, radio, hair dryer, safe, mini bar and bathroom facilities. A splendid restaurant can easily accommodate passengers for single-service dining, while a huge lounge bar with central dance floor is a pleasant area to mingle with other passengers or another ideal place to relax is the large sun deck. The elegant décor in contemporary colors is in perfect harmony with the good spirit on board. 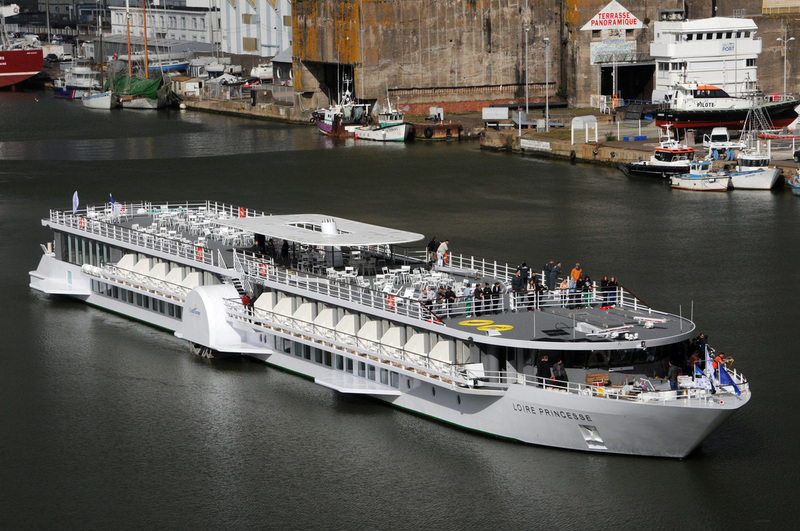 Labelled the “Green Ship”, the MS Loire Princesse was created using the latest environmental designs that show a great respect for the ecology. The MS Loire Princesse offers 6 to 8 day cruises, visiting places in the Pays de la Loire region that will satisfy the demand of tourists in search of culture and originality. 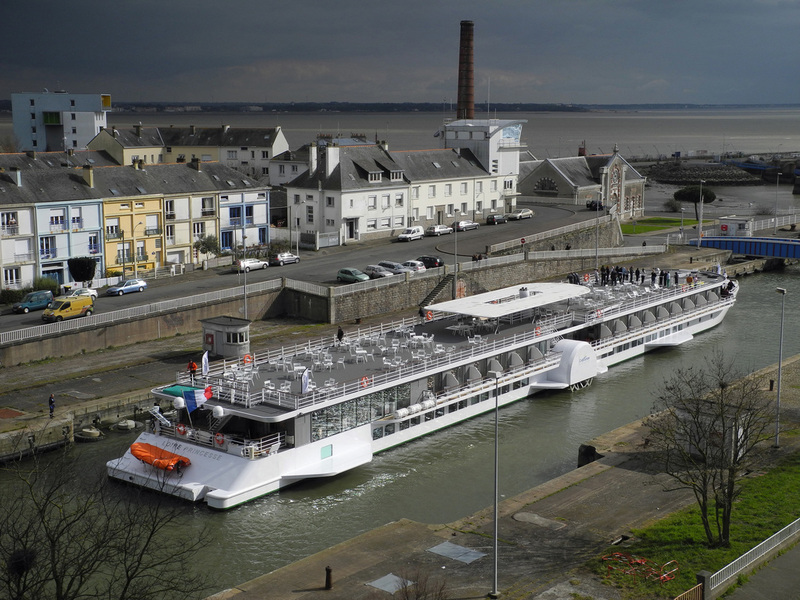 After boarding and meeting the crew over a welcome cocktail served in the lounge bar, the river ship heads off to gems like Nantes, St Nazaire and little villages known for their production of Muscadet wine. In Angers, capital of the Anjou region, visit the 13th-century fortress to see the Apocalypse tapestry. The grand Chateaux of the Loire Valley include Azay-le-Rideau, listed as a historic monument by UNESCO. You’ll also visit Cognac – and no visit there would be complete without a visit to a major Cognac house, including some tasting. Naturally, that’s included. Value is particularly good because the cruise is on a full board basis, so all meals are included. Even better, unlimited wine, beer, fruit juice and mineral water are covered in the cruise price, as are tea or coffee after each meal. Whether the drinks are served during on-board meals in the restaurant, or consumed in the lounge bar (excluding Champagne and wines on the exclusive wine list), they are included in the price. Cuisine aboard is superb – as you’d expect on a cruise line staffed by French chefs. Alain Bohn, the internationally renowned chef, sets the menus. Passengers will enjoy a range of classic French wines, bought direct from the wineries. As ever with CroisiEurope, their trump card is undoubtedly their ability to put offers together at the fairest prices. They are able to meet this challenge as they have complete control over every element of the entire fleet, from beginning to end. From the initial design to building their own vessels, plus maintenance, purchasing and development, the company is fully responsible for all these services thanks to its 1200 permanent staff. This feat allows them to rationalize their costs as much as possible and offer cruises at up to 30% cheaper than any other cruise operator offering similar products. Look out for some soon-to-be-released river combinations such as Seine/Loire and Loire/Dordogne. CroisiEurope, Europe’s longest-established river-cruise company since 1976, is a family-owned and operated business. CroisiEurope has been a leader in affordable European river cruises for nearly 40 years where three brothers and their sister run different aspects of the company, keeping a close eye on all operations to ensure excellence. Based in Strasbourg, France, CroisiEurope is headquartered at the epicenter of Europe and has an English-speaking crew of 700 people operating 36 vessels along Europe’s most famous rivers and canals. Passengers can choose from a variety of itineraries that explore picturesque riverside cities in France, Italy, Spain, Germany and Belgium while treating guests to on-board dining menus designed alongside Michelin-starred chefs. Today, CroisiEurope offers cruises not only in Europe but also along the Mediterranean coast, Vietnam and Cambodia. Features Editor John Newton will be sailing with CroisiEurope in June, look forward to his detailed review.